Bishop Gary Lamar Hall, Sr.
Bishop Gary Lamar Hall, Sr. is the third child of William Henry & Bessie Lee Hall. He was born and educated in Jacksonville, Florida. As a child, he with his family attended New Hope AME Church, where he served as a Junior Pastor Steward. This was his first exposure to commitment, dedication, and servanthood. He was introduced to the Church of God in Christ by a dear family member (Aunt Helen) that would take him to the evening services of Greater Holy Temple COGIC, under the leadership of Bishop C. D. Kinsey. Dr. Hall’s life was radically transformed by God’s power, after being exposed to the Word of God under the ministry of Bishop Kinsey, his mentor and father in the gospel. He accepted the call to servanthood in 1975 and in 1979 he was ordained as an Elder under the leadership of Bishop C. D. Kinsey. God has given Dr. Hall the ability to teach the Word of God with simplicity, immense understanding, and great clarity. Dr. Hall is committed to worldwide evangelism, for several years he served as a team pastor of the International Bridge of Faith Ministry. He continues to be active in international evangelism, traveling to Ghana, Africa each year conducting leadership workshops for pastors and leaders. December 2008 Dr. Hall was asked to serve as the Chairman of the Advisory Board to the National Pastors and Elders Council of the Church of God in Christ. Dr. Hall is a regular instructor in the National Leadership Conference of the Church of God in Christ. He has served as part of the leadership team of Central Florida Third Jurisdiction, Bishop C. D. Kinsey and Central Florida First Jurisdiction, Bishop Rushie L. Dixon. He served as the Chief of Staff, Administrative Assistant, and Chairman of the Pastors and Elders Council a combined total of 18 years under two administrations. Also, serving as Superintendent of the West Jacksonville District, which consists of 8 churches. Dr. Hall’s pastoral experience includes Archer COGIC, Archer, Florida 1989 -1991, Pine Street COGIC, Starke, Florida, 1991-1992, and in 1993 he was appointed as pastor of the West Jacksonville Church of God in Christ, Jacksonville, Florida, where he currently serves as Senior Pastor. 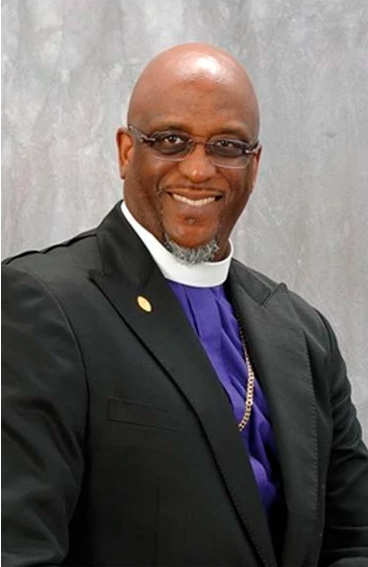 He is also the Senior Pastor and founder of the Harambee Community Church an outreach ministry of West Jacksonville COGIC that was established in 2010. In November 2012 he was consecrated the holy office of Bishop he serves as the Jurisdictional Prelate of Central Florida First Jurisdiction. Dr. Hall holds a Bachelors in Biblical Studies, Masters in Theology and in 2000 he received a Doctorate Christian Education in from Truth Bible College & Seminary, Jacksonville, Florida, now Truth University.